After redirecting to the settings page, click on Billing Section. 3. 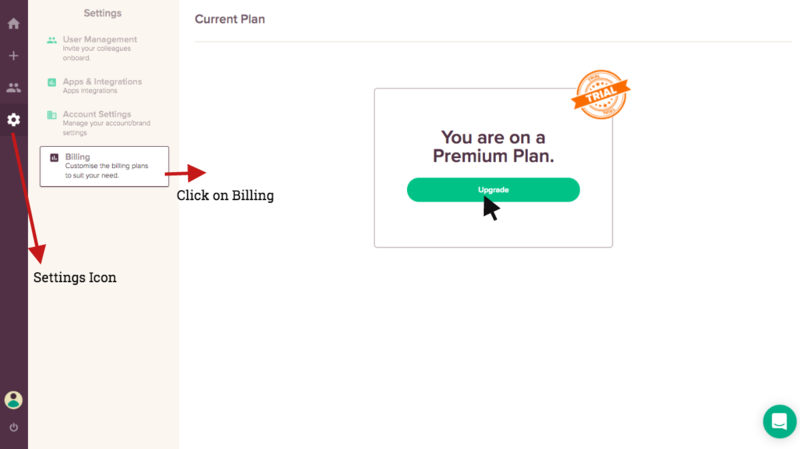 Click on the Upgrade icon to upgrade from your current plan. 4. 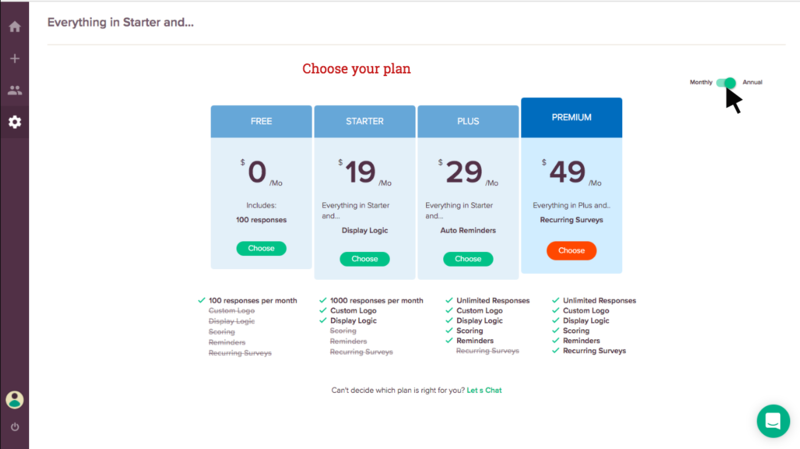 Choose your plan to upgrade. Opt for either Monthly or Annual Payment by sliding the icon. 5. 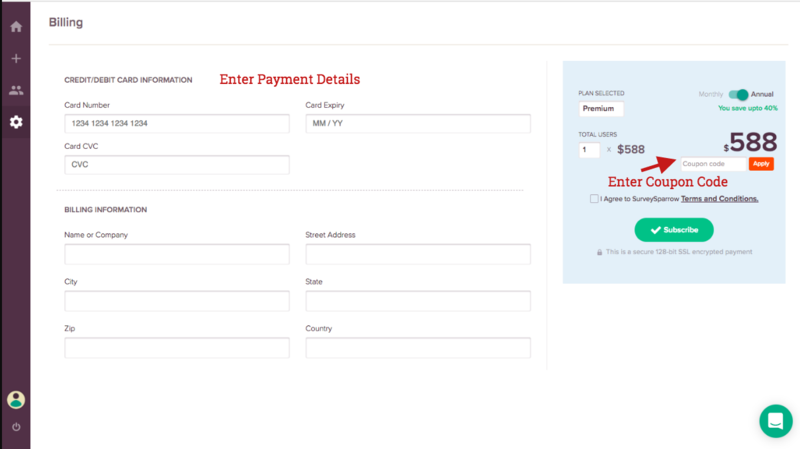 Enter your Payment details and Billing Information. If you have any Coupon, enter the code to avail discount.